Once you really know who you are, you can heal yourself so the authentic you can naturally expand using our programs, worksheets and resources. Putting together your very own personal development plans that fits who you really are can be a difficult, and in some cases impossible feat - if you don't have the right resources and tools. It's a fact that in today's busy world most of your time is spent dealing with many of life's little problems that are hindering your ability to learn who you are and what you truly want. The irony, in fact, is that without a concrete personal development plans in place you will never feel like you have time to grow yourself! Do you feel that life is doing you rather than you doing life? Do you feel empty or dissatisfied with yourself? Have you read all the latest self-help books but your life isn't changing? If you answered yes to any one of these questions, you aren't alone. Many people struggle with trying to develop themselves, but it doesn't have to be this way! We know how painful and frustrating it is to feel that we're missing out on life's precious gifts. Life holds so much potential. But when we don't know who we are any more or what we want, we miss the opportunities for a rich and meaningful life. "If you do not have a life plan, you are probably part of someone else's plan"
Below are some very simple Personal Development Plans. STOP and Pay Attention - Break out of robotic, conditioned patterns. throughout the day just STOP and be aware, let go and let in, be touched by life and respond, ask and listen for answers, be receptive. You will never resolve your problems or life issues if you do not know the specifics of who you are! It's true - the more you know and express your authentic self, the more meaning, joy and fulfillment you will have in your life. Clarify your uniqueness and the gifts you offer yourself and others. Know your fundamental life challenges that block your ability to succeed. Reveal your underlying semi-conscious motives and defenses that run your life. Identify how you give away your power. Discover what gives you meaning and purpose. Know the values that bring you strength. When we begin to explore what really makes us tick, we uncover our personal power for change and success. Identify where you most want change in your life and then address those issues with guidance from our in-depth workbooks. Manage your time - Make the most of the time of your life. Manifest more money, prosperity and abundance - Enhance your self worth and net worth. Build healthier relationships - Explore your role in the dynamics of connecting with the important people in your life. Find more satisfaction and fulfillment with others. Expand your creativity - Learn 10 easy creativity tools to resolve problems and create more options quickly. Find your life purpose - Uncover your essence. Connect with your calling. Answer "Why am I here?" Develop spirituality - Practice daily spiritual living. Connect with your own divinity. Explore your life purpose. Trust your intuition. OR identify your own need from our Needs Tree and create your own self development plan. Try our free daily Feeling Finder to discern more accurately how you feel, think and behave. Or take a creativity or awareness program to enhance new personal skills. Take one of our many Smart Questions Themes and let a daily question coach you for a few months. FLOW Yourself - Once you KNOW and GROW Yourself, the new you requires a new level of tools and programs. A shift from awareness to consciousness; practical work to spiritual work; new ways to a new order of being. Work on your intuition with our new "intuit and DO IT" Awareness and Manifesting program. Pursue Your Purpose or experience multiple progressive Meditation Methods. The 3 Levels of Consciousness to shift from coping to growing to manifesting. If we want something to change, we need to be clear about what we want. Then we need to make it happen. 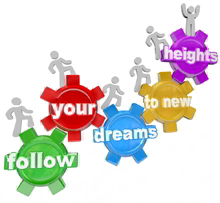 Our programs will guide you to create the right personal development plan for you and implement it successfully. Support for your specific needs - Create healthier relationships, prosperity and abundance, spiritual growth and a meaningful life purpose. Or identify your own need from our Needs Tree and create your own development plan. Over 40 personal development workbooks, email programs and worksheets for all of your self development needs now and for the rest of your life. Get control of your time and goals, heal blocks and challenges, improve creativity and develop your mind, clarify your life purpose, manifest what you desire and find your own spirituality. Hundreds of powerful resources and tools you won't see anywhere else. 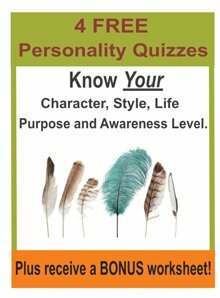 We offer 100 resource lists with answers to your personal development questions, 50 journaling tools and over 1500 smart questions and prompts to serve all your character building and growth needs. Through the personal development planning process, you'll get clear about your deepest needs and desires. You'll be empowered to take charge of your life. You'll delight in an ongoing sense of focus, purpose, growth and achievement. Excellence and Clarity are the words that begin to describe what I see in your writing and in the services you offer -- and SO much is offered; it's strong. ... your work stands out in contrast to anything I've seen on the web. WELL DONE. As we master one aspect of our life, the other aspects shift and grow naturally. Focus on resolving your most important issue and your whole life improves. I am a Chartered Psychologist and psychic. Your site is the most organized, helpful and constructive aid to self-development I have found to date. Thank you for being there! Become a lifelong learner with the support of our rich resources. Use our handy Higher Awareness Passport to choose and track programs in your personal development journey. 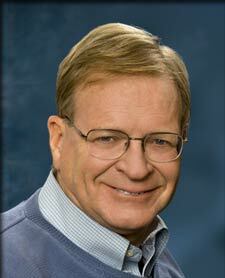 Want to move beyond indebtedness and insecurity? Want more abundance and security? Progress through 3 levels of prosperity consciousness with money management, thinking prosperity and manifesting abundance programs. Want something more? Let us know! We're always working on new programs to support our members. Hundreds of powerful resources and tools you'll not see anywhere else! Have specific personal development questions and needs? Check us out. Search our resources for the answers. Over 90 resource lists with 50 to 100 answers to your personal development questions. Explore stress causes and reducers, willpower building methods, subconscious influences, simple rituals, common purpose statements, manifesting tips, intuition blocks and tips, depression causes and symptoms and many more. 50 journaling tools including both left brain logical tools and right brain intuitive tools. Find the ones that work best for you. Over 1500 smart questions and prompts to draw out your own inner wisdom. Quotes and tips on important growth topics to inspire and empower you. We offer exceptional support. We answer all your questions. You are never left alone. This is one of the most powerful websites I have ever seen. Please continue to help the people of this planet wake up. I believe you are being inspired by spirit. Thank you for being obedient. Higher Awareness is a membership site. You get EVERYTHING we offer for a ridiculously low membership fee of only $29/month. Receive access to all of the Higher Awareness personal development planning guidance, workbooks, worksheets and resources for only $29/month! Just think of how much you'd pay for only one session with a coach! Normally web sites add lots of bonuses to entice you to purchase. Our approach is to continually offer bonuses to our members. Here are some of those bonuses we have created for you. RE-Treat Yourself System - A powerful reminder service to keep you focused, on track, in control and balanced every day, week, month and year. Smart Question Coaching email series - Daily smart questions and coaching tips to maintain the discipline, freshness, new perspectives and insights for consistent change. Dream Calendar - On one page idealize your day, week, month and year. A great master control sheet for all repeating events. Motivation Worksheet on One Page - Feel like you are losing your direction, energy and passion? Check in and notch up your motivation. Join us today. Make a solid commitment to get more out of life. I have only been a member for a short time, but... this is the absolute best value on the Internet today! ... there are folks out there in personal development who do 1/2 as good of a job and charge easily 5x what you charge for a year for one seminar!!! You guys are terrific! Over the last two years I have had to rebuild my entire life, and it has been horribly difficult. I have a wonderful therapist, but that simply is not enough...Your website is an answer to my prayers. We stand behind our quality. Find value in our products and our service or we will refund your last payment - guaranteed! No questions asked. So act now and start your own personal development journey. Click the link below to invest in this life changing program. Or save money with our one year and life membership options. John Robson Higher Awareness Inc.
P.S. What is your life worth? If you want to live life to the fullest, you need to do that NOW! We will support you to be all you can be. P.P.S. Just think! The next time you find yourself hassled, confused or in pain, you'll have the personal development planning process and tools to get yourself out of it! Join us now.